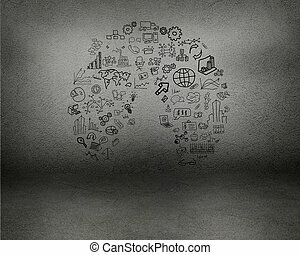 Education Service Concept: Co-Learning - on White Wall with Wordcloud Around. 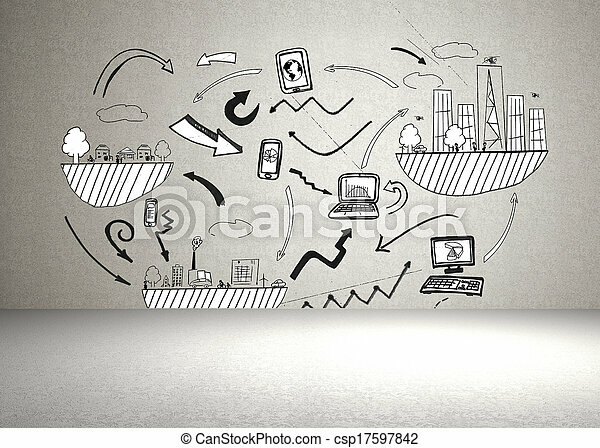 Modern Illustration. 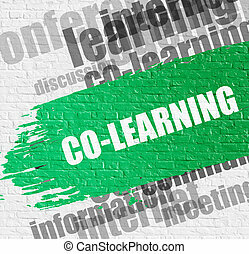 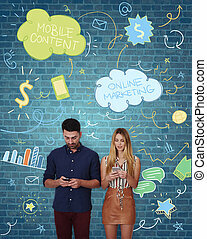 Co-Learning Modern Style Illustration on the Green Paintbrush Stripe. 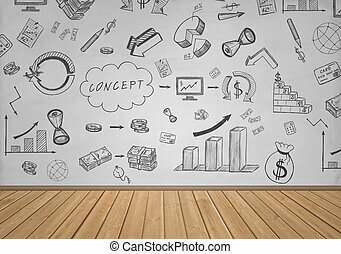 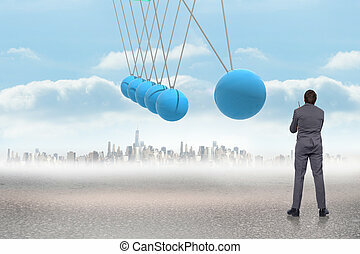 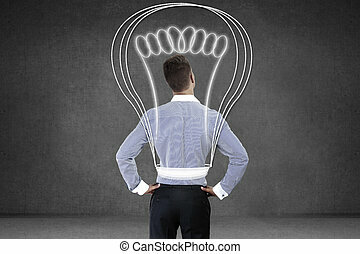 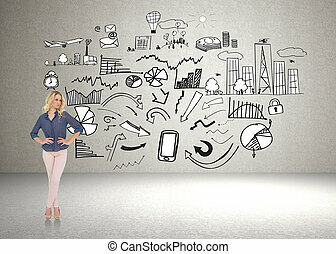 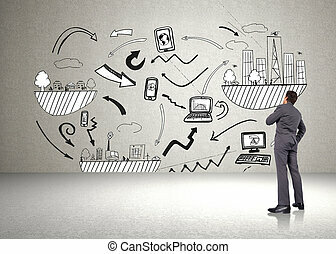 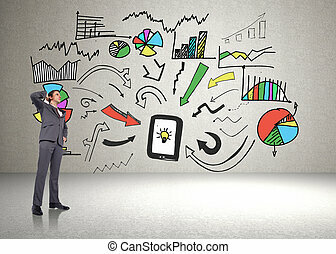 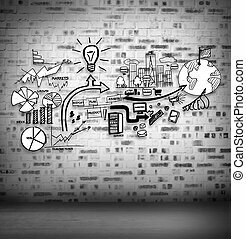 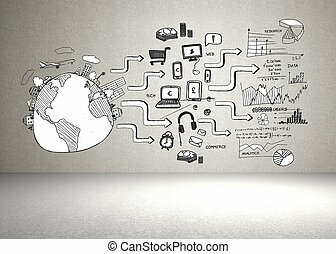 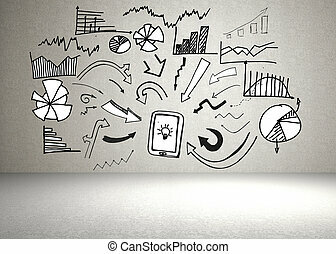 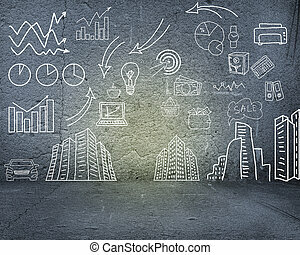 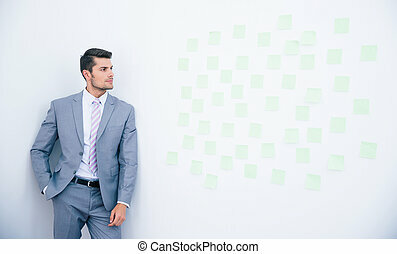 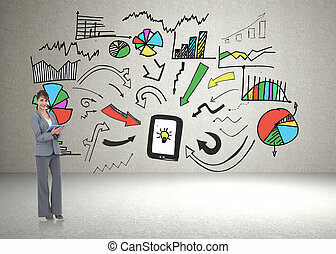 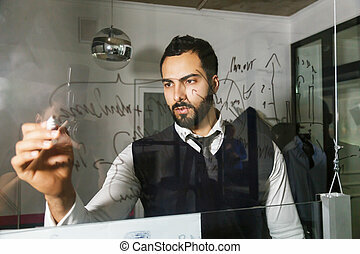 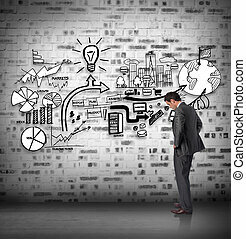 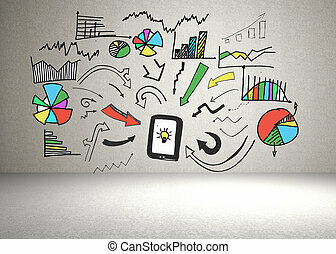 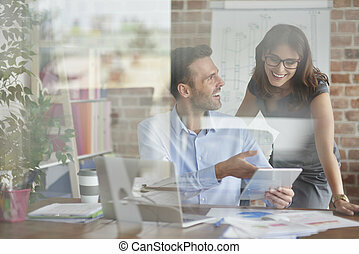 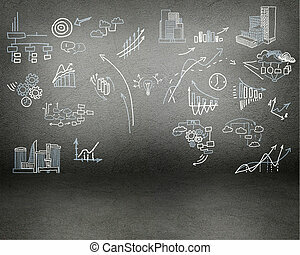 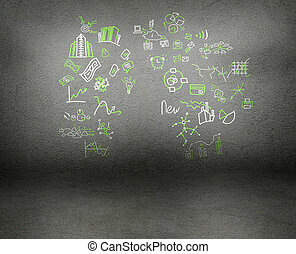 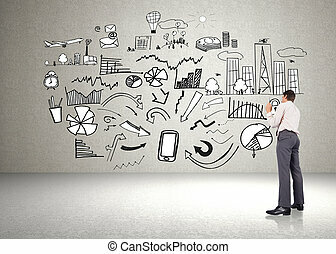 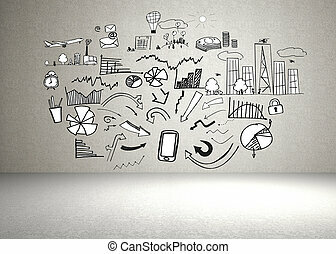 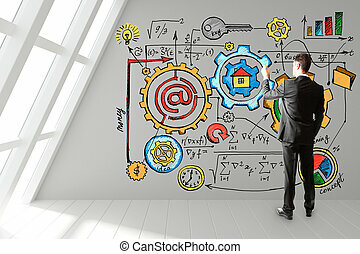 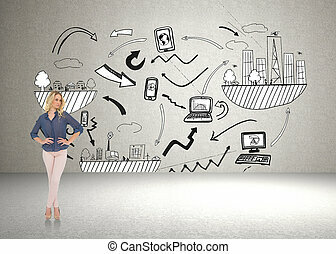 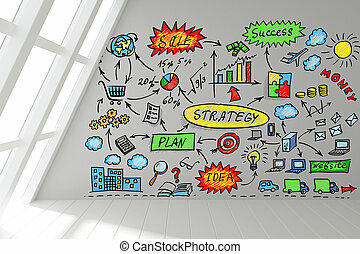 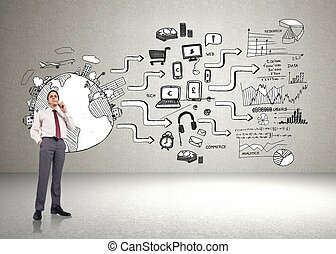 Business and financial doodles on the white wall, business ideas.